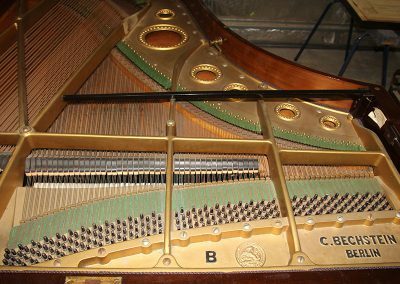 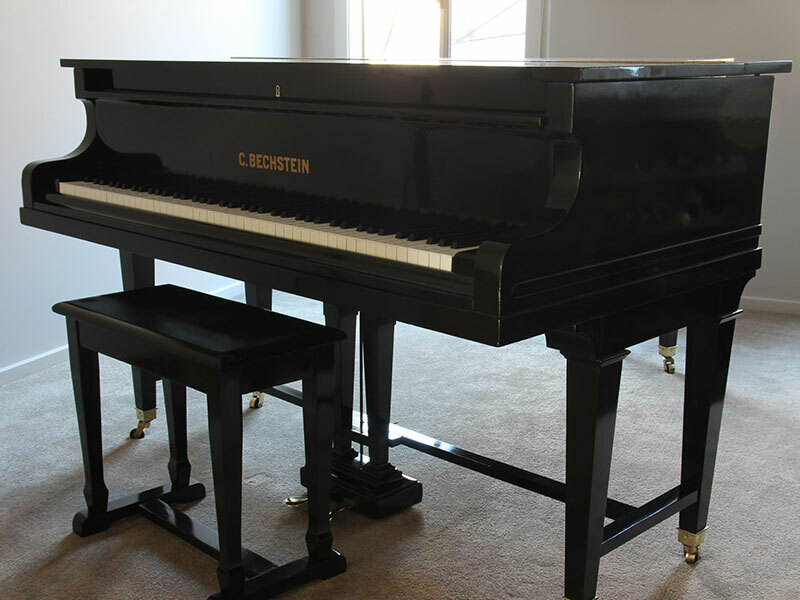 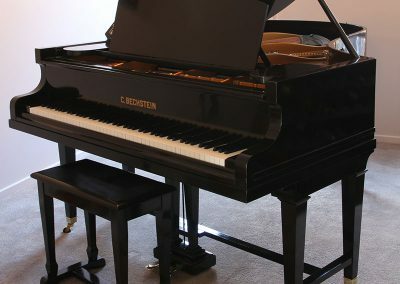 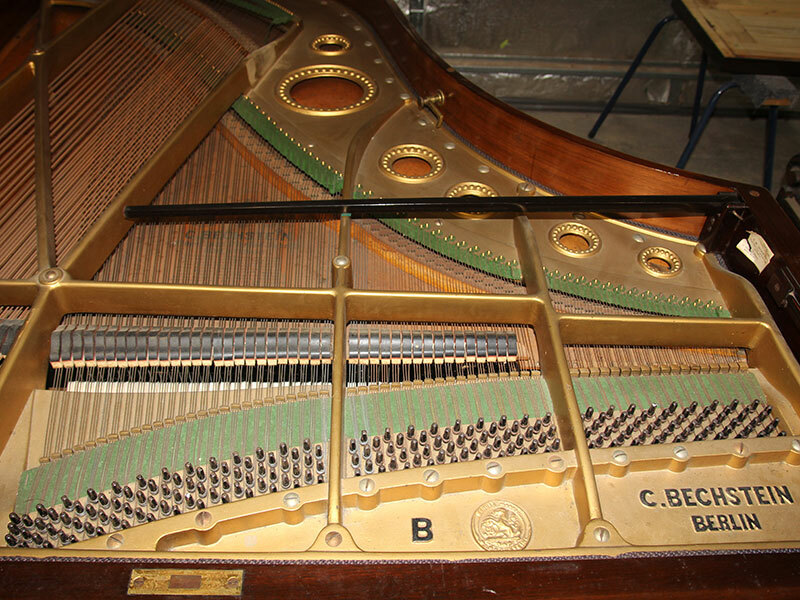 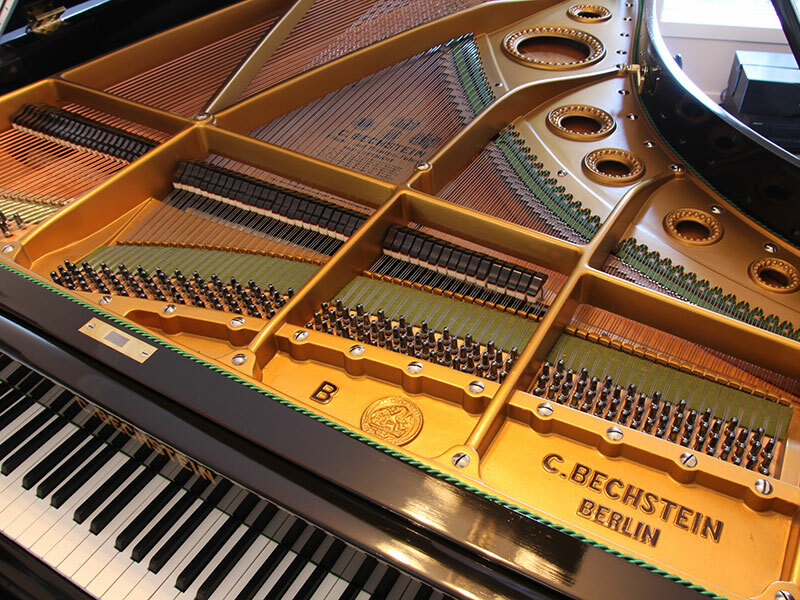 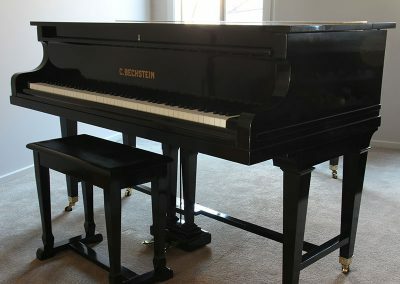 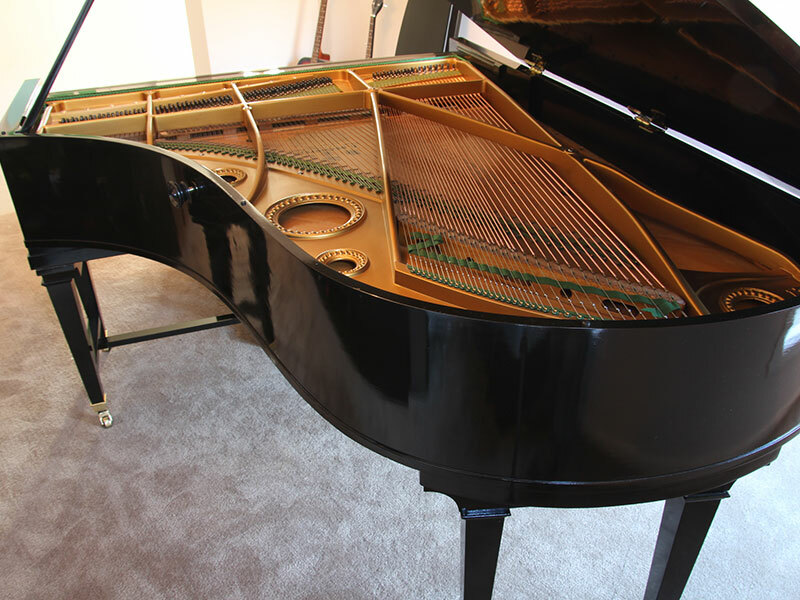 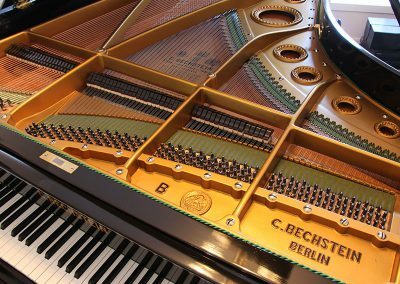 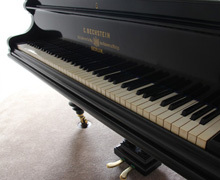 This C. Bechstein ‘gate leg’ model B grand underwent a complete restoration. Finished in Ebony the case required a huge amount of man hours to bring it up to the smooth high gloss finish that French Polish produces. 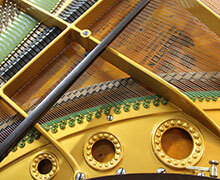 It is also the traditional method that was used on these magnificent instruments when they were first made! 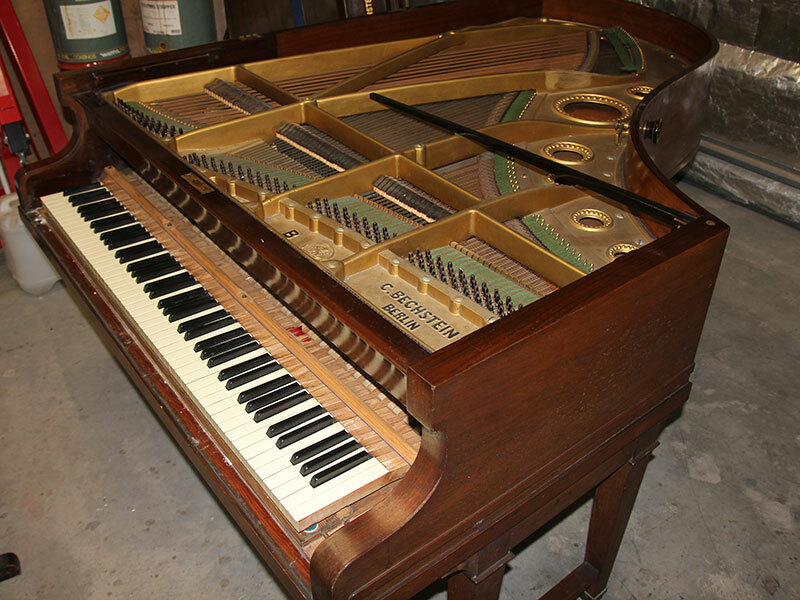 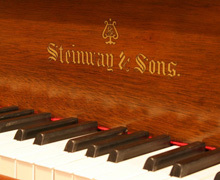 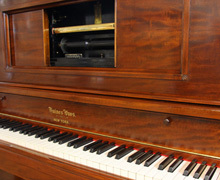 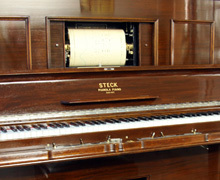 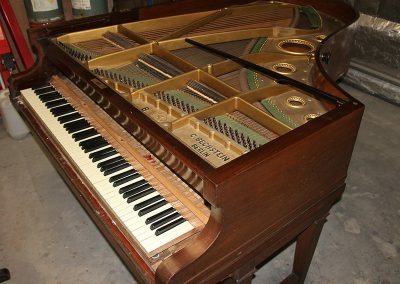 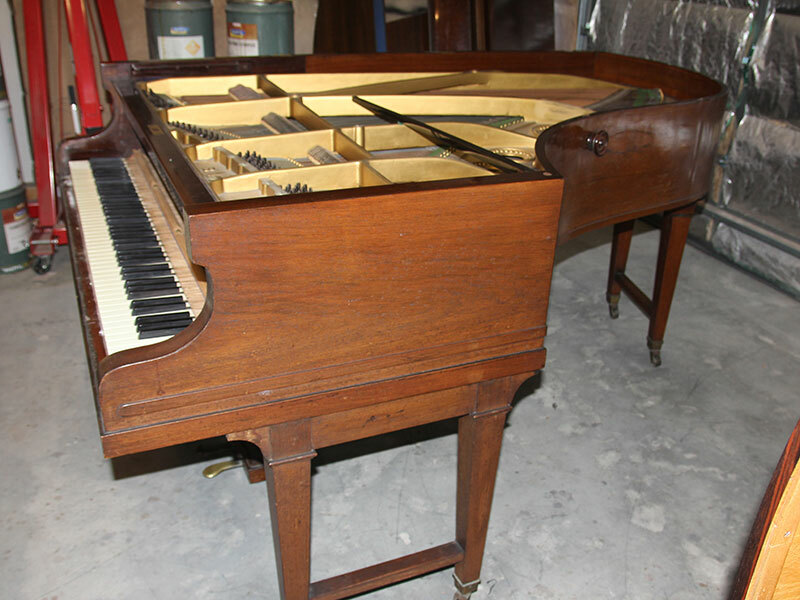 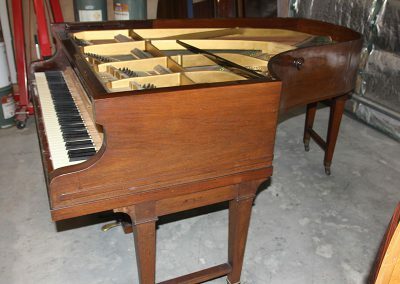 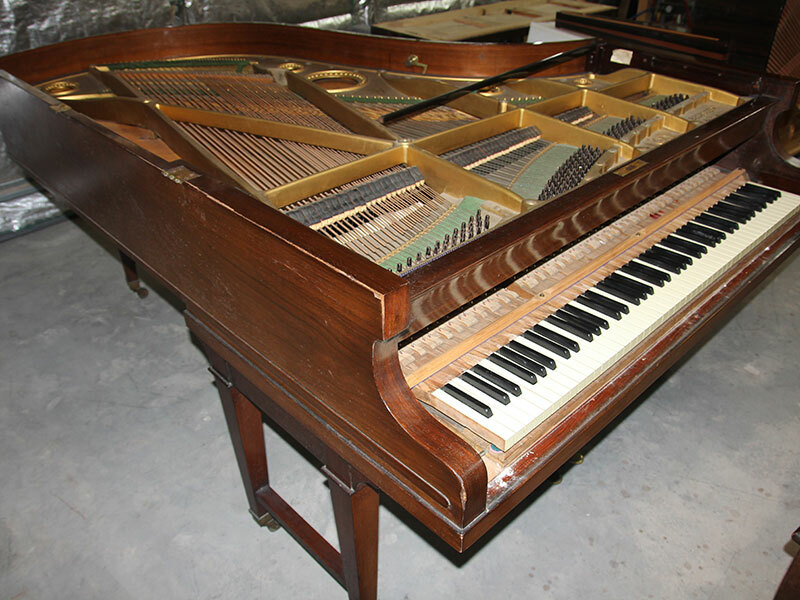 Have your own piano restoration project? 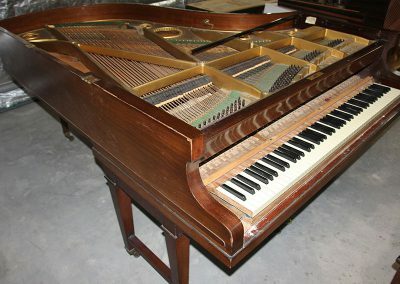 This beautiful old top quality German upright was in dire need of restoration. 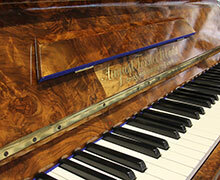 The full beauty of it’s burl Walnut veneer really shows through following French Polishing.